Focal brings its high-end outdoor speaker line to the U.S.
Weatherproof, paintable enclosures house 1.0-inch tweeters and either 6.5- or 8.0-inch woofers. French speaker manufacturer Focal is bringing its high-end outdoor speaker lineup to the North American market for the first time. The company will offer four models to consumers online and at retail: Two models are designed to be driven by a conventional amplifier, while the other two can be configured to operate as either 8-ohm speakers or 70/100-volt speakers in a constant-voltage setup. 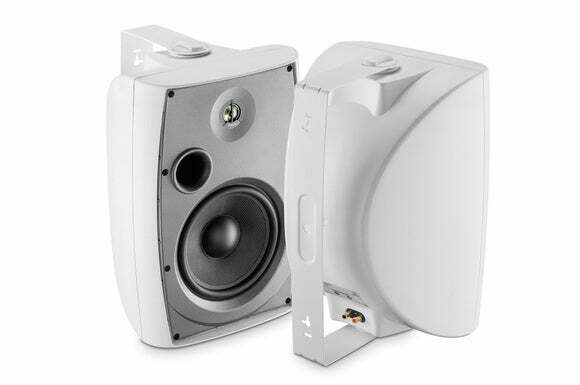 The latter configuration is typically used when the speakers will be placed far from the amplifier, or when you want to daisy-chain a number of speakers to a single amplifier and operate them in series. Focal’s Custom OD 108 (OD 108 T being the 70/100-volt model) is a two-way bass-reflex speaker with an 8.0-inch fiberglass woofer and a 1.0-inch aluminum inverted-dome tweeter. 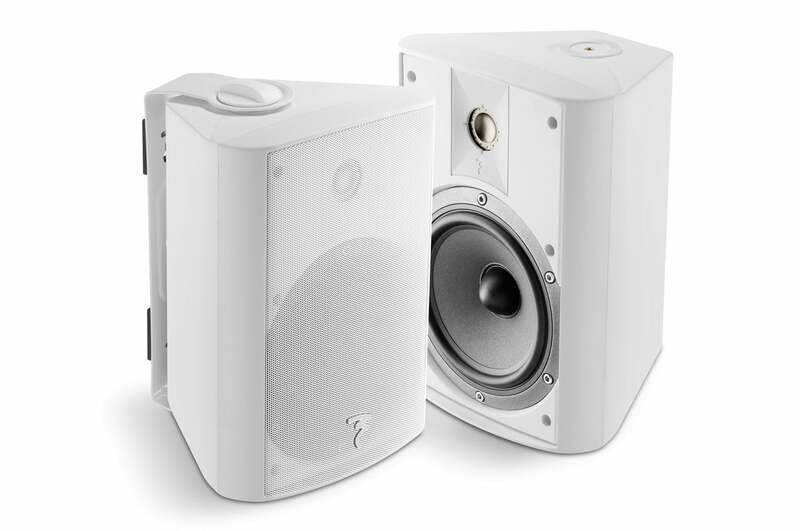 The Chorus OD 706-VT (OD 706-V being the 70/100-volt) is slightly smaller, housing a 6.5-inch polyglass woofer and a higher-performance 1.0-inch inverted-dome magnesium tweeter that helps the speaker’s frequency range top out at 28kHz. That and the closed-design enclosure accounts for its higher price tag compared to the larger Custom OD 108 series. All four models feature ABS plastic enclosures that have been treated for exposure to ultraviolet light. The cabinets, including their aluminum grills, can be painted to blend in with your architecture. Focal recommends using a 10- to 200-watt amplifier to drive the Custom OD 108/OD 108 T, and a 25- to 150-watt amp for the Chorus 706-V/706-VT. 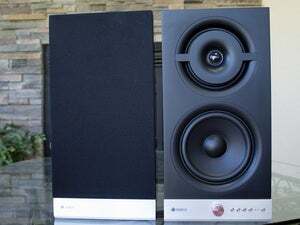 The speakers weigh 12.8 pounds and 7.0 pounds respectively and come with removable mounting plates with foam-rubber cushions to prevent bass-heavy tracks from vibrating the woodwork. Focal’s Chorus OD 706-V features a 6.5-inch woofer and 1.0-inch inverse-dome magnesium tweeter in a closed-design enclosure. Focal expects to fetch $429 each for the smaller Chorus 706-V ($665 for the 70/100-volt Chorus OD), and $349 each for the Custom OD 108 ($540 for the 70/100-volt Custom OD 108 T). The speakers will be available in May 2016. 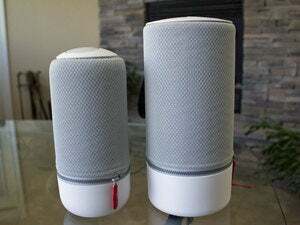 The impact on you at home: Portable Bluetooth speakers are all well and good, but we haven’t heard any that can compete with a pair of conventional speakers driven by a discrete amplifier. Yes, you’ll need to pull speaker wire through your walls and attic to set up speakers like these, but it’s worth the effort (and it only has to be done once). 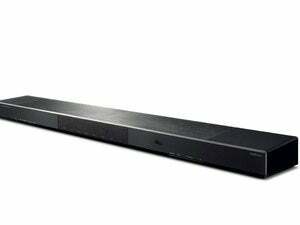 It’s also possible to incorporate passive speakers into a multi-room audio system, using components from Sonos, Yamaha’s MusicCast, Denon’s HEOS, or the like. In my own home, I have a Sonos Connect plugged into a 250-watt two-channel amplifier driving a pair of passive speakers mounted just below the ceiling of my enclosed patio. I have portable speakers, too, but I’m always thankful that I don’t have to look for them—or make sure their batteries are charged—when I want to rock out while I barbecue. We’re hoping to have a hands-on review of Focal’s new outdoor speakers soon.